Hi little ‘muzes’! Who are looking for wedding venues for this year weddings? Today we bring you the most amazing venue for a wedding destination in Alentejo! As you know we are always looking for the perfect place to get married in Portugal (even when we supposedly are going away to get some rest… ups!). 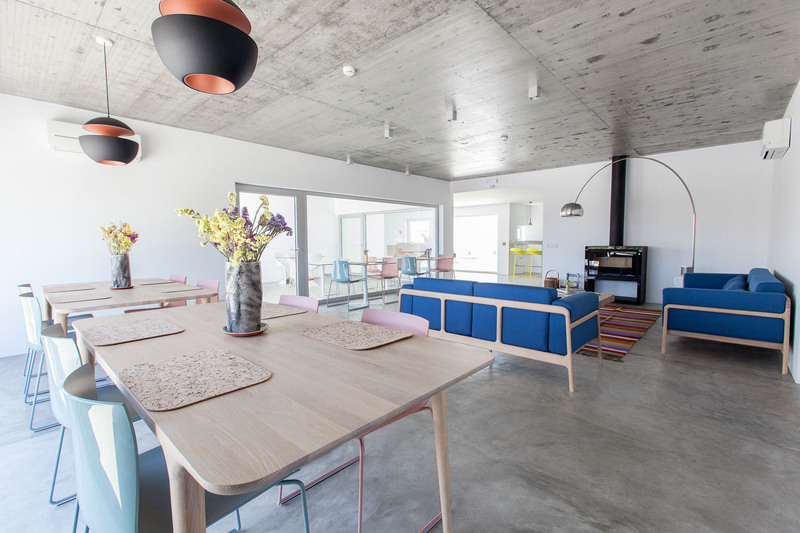 We always try to suggest to our couples places where we can see ourselves working and where the Design and Architecture are a meaningful point. 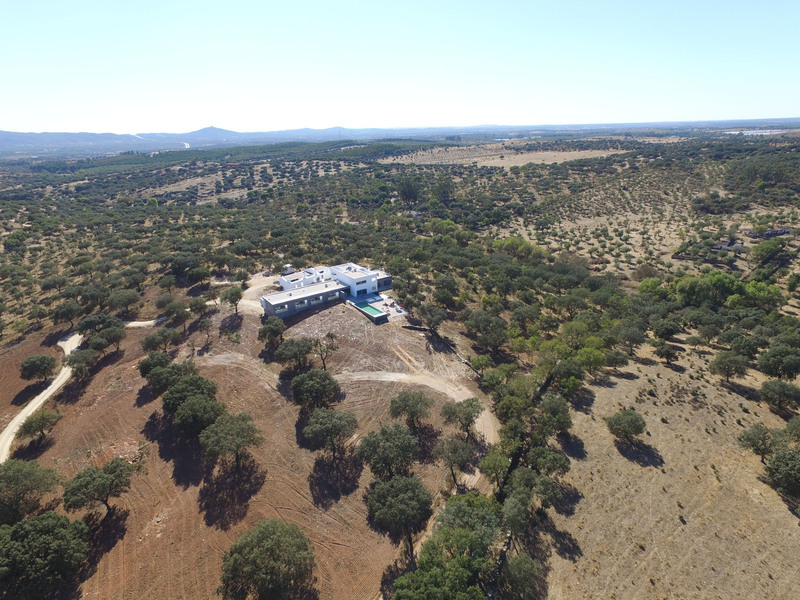 This time we found this awesome diamond in the middle of Alentejo, at Estremoz, Casa Azimute. If you are looking to for an intimate wedding/elopement and want a very customized treatment, without losing comfort and that ‘home cozy feeling’, this venue is the perfect place to you get married. MUZA: What can the couples expect from their staying at Casa Azimute? A & D: Clients can expect a very personal service, feeling at home in our house. 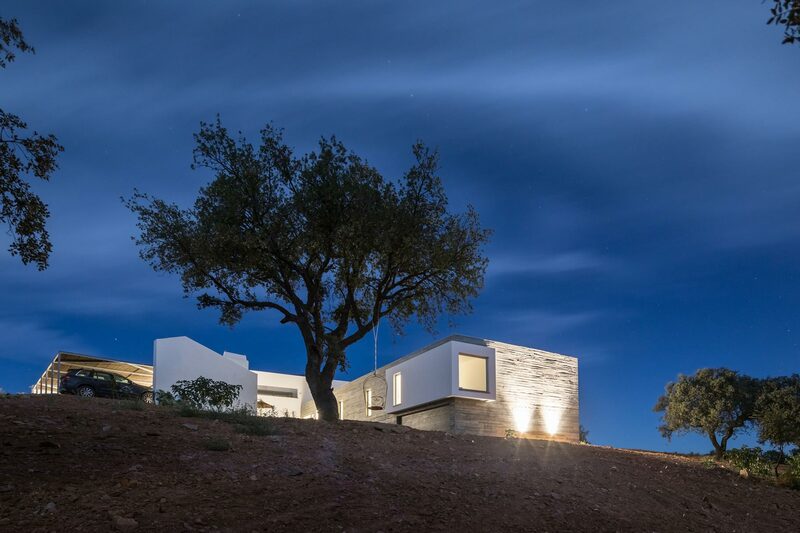 We can offer them privacy as they like it, modern architecture and design interior with warm local elements, a really unique experience that is sleeping under the starlights of Alentejo in an outdoor bed, a swimming pool and different terraces to relax, and a massage service; a 28 ha property full of pure nature. MUZA: What was the role of design and architecture on the creation of the space? 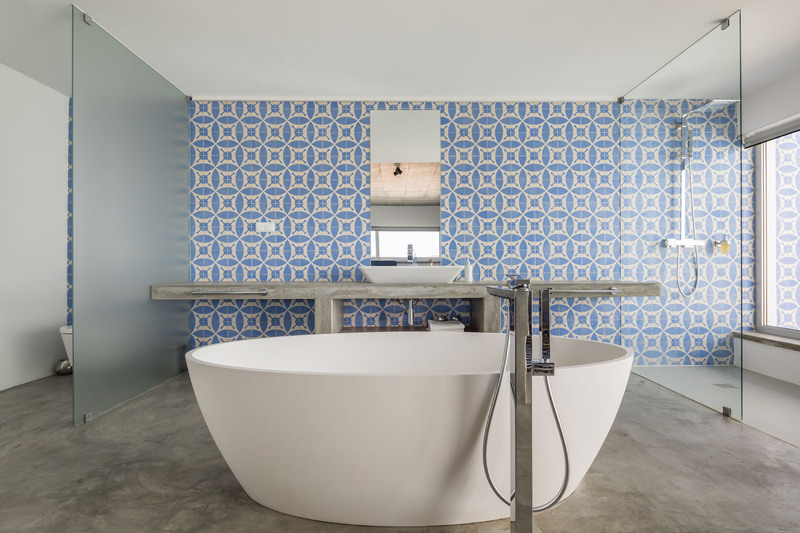 A & D: Casa Azimute is a modern b&b that paid a lot of attention to architecture and design. 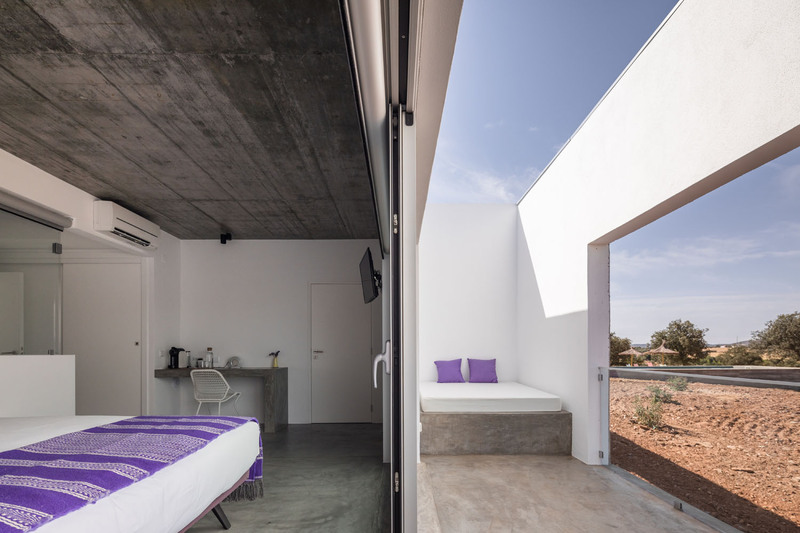 All rooms and suites have got wonderful views on the environment with large windows and a nice private outdoor space (patio in suites, terrace in the rooms). The house has been built on the highest point of the property and the old farm has been renovated into a carport. We used the front walls and chimneys of the farm as a memory to the past, and constructed Casa Azimute in front. This combination gives a perfect harmony between the past and the future. 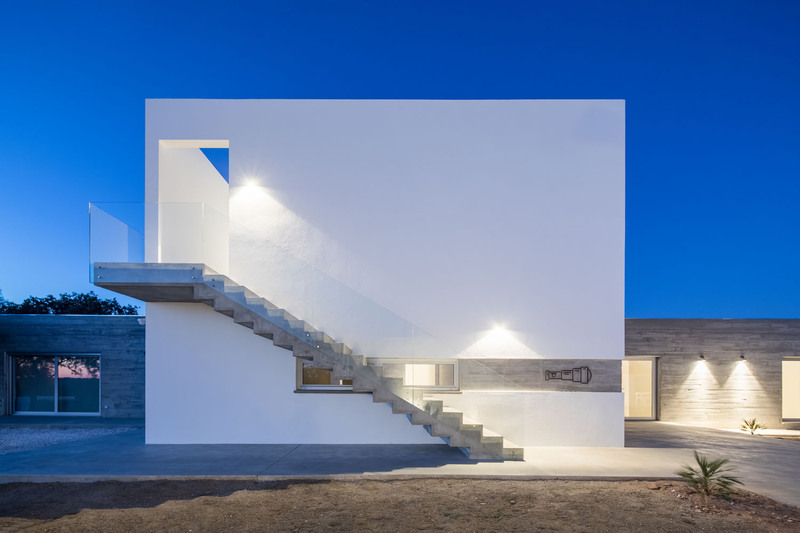 The house is very different when you compare with the traditional Alentejo style, but does not shock in the landscape as the grey of the concrete and white painted walls looks very natural between the rocks and other houses nearby. We wanted to respect the nature by not cutting any tree, we have chosen not to make a garden but keep it natural and simple by using natural grass around the house. The old slate walls has been kept and restored and part of the property is used for biological farming. 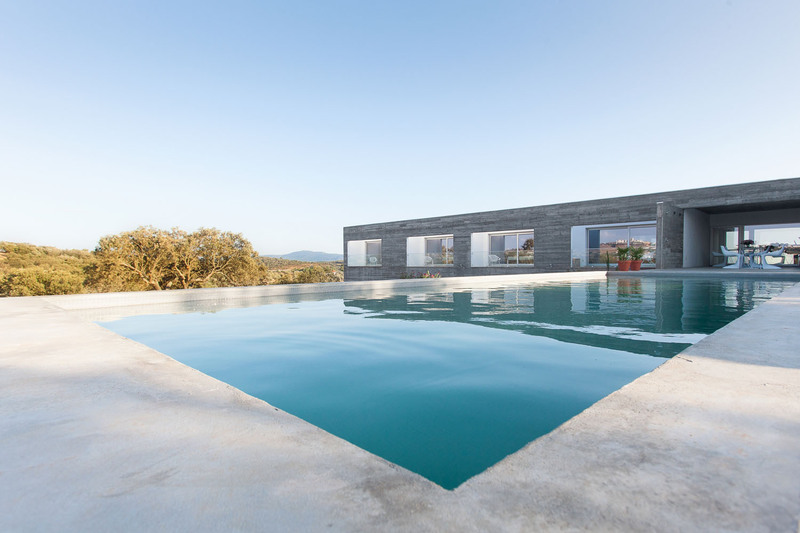 MUZA: What led you guys to choose Alentejo as the perfect place to Casa Azimute? 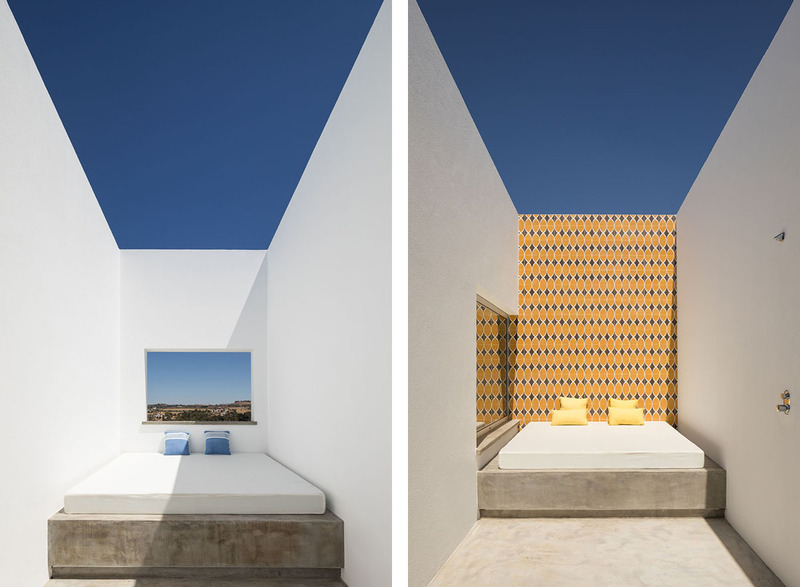 A & D: We think that Alentejo is a unique region in Europe. It is unspoiled, authentic and has kept its traditions and his stunning landscapes, a feeling of freedom and great wines and food. The slow way of living is perfect to escape the busy life and stand still by the simplicity of things. Be inspired by this stunning images! And go check Casa Azimute website!